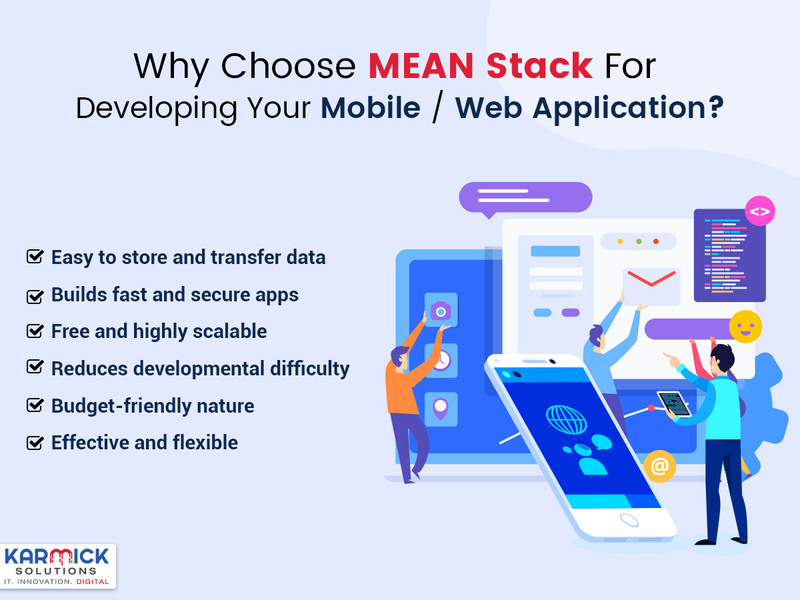 The collective, as well as the individual advantages that each component of the stack offers, are the reasons behind MEAN stack’s high demand among the developers. Easy to store and transfer data – The MongoDB is a NoSQL database that is preferred by developers to store massive amounts of data. As the data is saved in the JSON format, it eliminates the need to update the entire table. This makes the transfer of data between client and server much easier and cost-effective. Either with MongoDB or AngularJS, a developer can avoid writing the codes again. Needless to say, the seamless data distribution process spares a lot of time and energy. Builds fast and secure apps – A backend framework, Express which is inspired by Ruby framework is lightweight yet robust. It provides help to APIs and makes the development process seamless when combined with Node.js. Using Express, a developer can write much faster and secure single or multi-page applications. Reduces developmental difficulty – With Node.js framework a developer can build free modules, networking tools that aids in the access of data streams, networks, and more that reduce developmental difficulties. MEAN is getting bigger by the day, more powerful and popular. Node.js has already roped in giants like Uber, Netflix, LinkedIn, Paypal and more. So, for any dynamic single page or multi page web or mobile application development it is considered the best full stack framework.